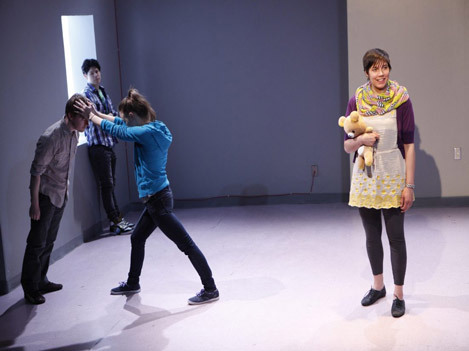 PlayCo develops and produces adventurous new plays, from the U.S. and abroad, to engage New Yorkers in a dynamic global practice of contemporary theatre and expand the American repertoire. Our singular international programming reflects and responds to our diverse New York City home, and to the globally connected way we all live now. We explore the ideas, events and issues of our time through intimate, personal live theatre experiences. We maintain affordable ticket prices to make PlayCo’s work accessible to the broadest possible audience. Jennifer Lim and Louis Ozawa Changchien in Caught, 2016. Since 1999, our body of work includes 32 World, American, and New York premieres of new plays from Japan, Mexico, Russia, India, Romania, Poland, Germany, France, Northern Ireland, Sweden, the UK and the U.S. The Play Company’s central activity is producing World, American, and New York Premieres of new plays from around the world. We work with both new and established artists, emphasizing support for emerging American writers and the discovery of outstanding contemporary writers from abroad. PlayCo complements its production season with an eclectic series of stand-alone events, including reading presentations of plays and literature, evenings that examine a particular topic through the work of a variety of prose and poetry writers and/or other media, and panel discussions featuring theatre artists, writers, scholars and community leaders. These events may link to a production, or extend our programming to other ideas or issues of interest to our community. PlayCo offers artists an arena for exploring ideas and generating new work. 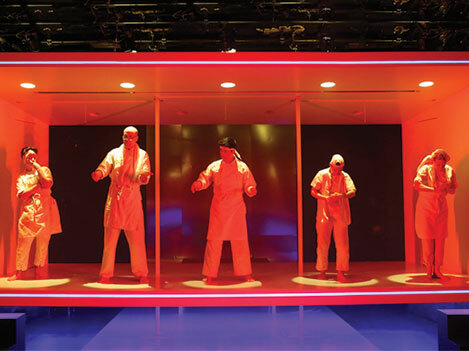 Developmental tools range from in-house readings to public lab productions. The Studio supports both the investigation of ideas for its own sake, and the preparation of work for full production in our New Work/New World Series. Our commissioning program for both original works and new translations of plays from abroad. The Play Company is an international theatre for new writing, collaborating with playwrights from the U.S. and all over the world. We host writers in New York City so they can play an active role in our productions of their work, and to introduce them to the local community through events such as artist roundtables, panel discussions and audience talk-backs. 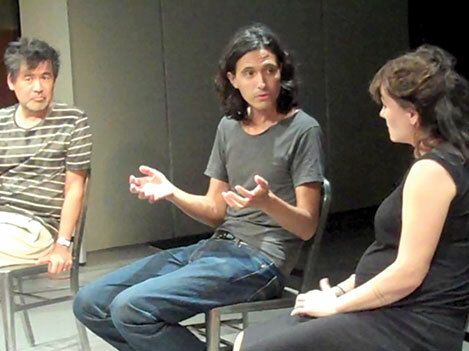 The Residency Program also offers local students unique educational opportunities by engaging visiting playwrights in special classes and workshops. Students of theatre, literature and foreign studies see the work of visiting writers in production and interact directly with these artists in subsequent classes to learn about different artistic traditions, practices and points of view. Kate created The Play Company with her late partners, Mike Ockrent and Jack Temchin, in 1998. 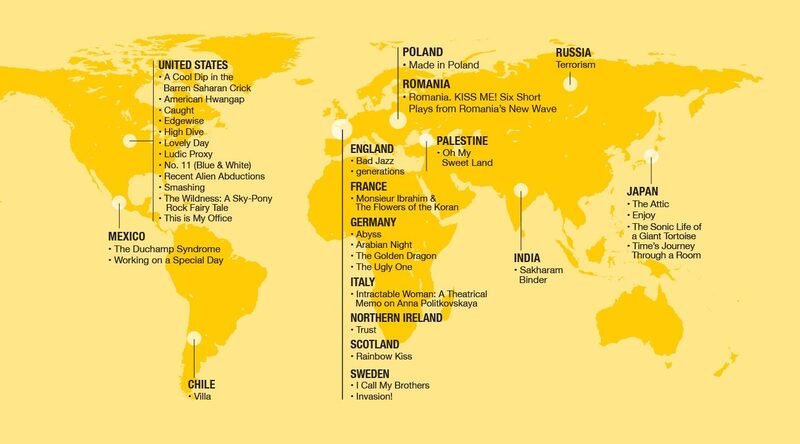 To date PlayCo has produced nineteen world, American and New York premieres of plays from Sweden, Poland, Japan, Romania, India, Germany, Russia, France, Britain and the United States. 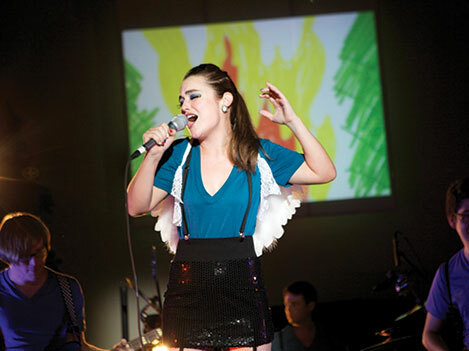 The company received a 2007 OBIE Award for its “unique contribution to the Off Broadway theatre community”. From 1990-99 Kate was head of the literary department at the Manhattan Theatre Club, overseeing programming and creative development. She collaborated with many playwrights and directors on new plays, including Terrence McNally, Jon Robin Baitz, Richard Greenberg, Donald Margulies, Elizabeth Swados, Cheryl West, Kia Corthron, Joe Mantello, Mark Brokaw and Nicholas Martin, among many others. 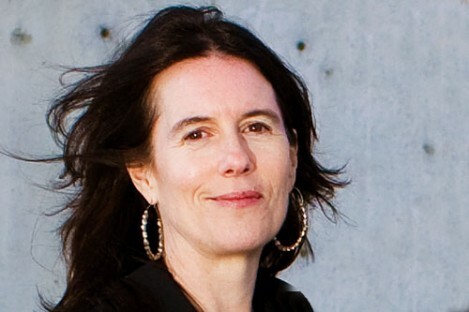 She created the MTC Playwriting Fellowships for emerging writers. She was also Director of MTC’s acclaimed Writers in Performance series in 1998 and ’99, producing an innovative program of literary events featuring such writers and performers as Walter Mosley, Norman Mailer, James Baldwin, Gish Jen, Alec Baldwin, Bill Murray, Buck Henry, Anita Desai, Robert Pinsky, Sydney Schanberg, and Arnold Wesker. Prior to MTC, Kate was producing associate to Margo Lion on George C. Wolfe’s Jelly’s Last Jam, Martha Clarke’s The Garden of Earthly Delights, and other plays on and off Broadway. Kate is on the adjunct faculty of the New School for Drama MFA program and the Fordham College theatre department, and has also taught in the Dramatic Writing Program at New York University. She was a dramaturg at the O’Neill Playwrights Conference from 2000-2003. She serves on the board of Backbone Media, a San Francisco-based documentary film company. She is a graduate of Yale College. In addition to her work with The Play Company, she was the Guest Artistic Director for the Signature Theatre Company in the 2004/2005 season. * Philip Levy died suddenly on Thursday, October 12. Philip was a devoted and lively member of our community. 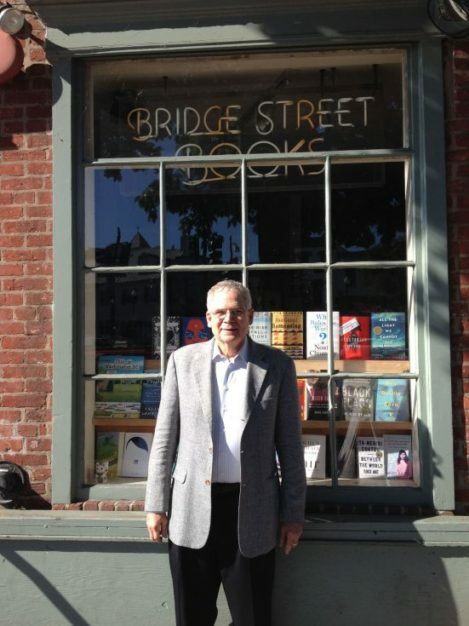 The founder of Bridge Street Books in Washington DC, he was passionate about ideas and generous with his support for causes he believed in. We will miss him so much and we celebrate his life. Below is a list of current and upcoming opportunities to join the PlayCo team as staff, intern, artist, or volunteer. The Play Company (PlayCo), an award-winning, New York City not-for-profit theatre, is now accepting applications for its fellowship program. We are offering two paid fellowship positions for the May 2019 – February 2020 cycle in the areas of literary management and general management, and one position in marketing beginning July, 2019. We invite prospective applicants to attend information sessions where you can learn more about these opportunities and PlayCo. PlayCo fellowships provide mentoring and hands-on training to emerging theatre professionals of color, in our Manhattan administrative office, rehearsal studios and performance venues around the city, and professional development opportunities in and out of New York City. In addition to their practical training with the PlayCo staff, fellows will also receive professional mentorship from interdisciplinary theatre artist Erika Dickerson-Despenza. As Fellowship Mentor, Erika will support Fellows throughout the process, to create focused goals and professional development plans during their tenure, advise on any questions or issues that arise during the fellowship, and facilitate monthly in-person meetings to review, assess, and revise these goals as needed. Focuses on literary management, dramaturgy, and artistic planning, with training in database management, research, written and verbal communication, and critical thinking. The Literary Fellow will facilitate weekly programming meetings with the Director of Producing &amp; Artistic Planning and Founding Producer, to review and discuss current projects, script evaluation, and to assign coverage of upcoming shows, readings and other events. The Fellow will also coordinate and participate in the weekly meeting of the readers group. The Fellow works closely with PlayCo’s Literary Consultant to research plays and playwrights in the U.S. and around the world. A primary responsibility will be maintaining our script database to ensure that submitted plays are read in a timely manner, track the play’s evaluation, and respond to writers and their representatives. We’re seeking candidates with the independent ability to organize and prioritize work, attention to detail, strong written and verbal communication skills, excellent interpersonal skills and a good sense of humor; and a passion for theatre and new plays. Assist the Director of Producing & Artistic Planning, Literary Consultant and Founding Producer on researching, reading, and evaluating plays. Maintain timely correspondence with playwrights and agents. Participate in scheduling and writing articles for the website, as needed. General administrative & office duties as needed. This fellow will work closely with the Managing Director focusing on financial management, planning, and overall operations. We’re seeking candidates with the ability to organize and prioritize work (with a strong facility for multi-tasking); strong written and verbal communication skills; comfortable maintaining a flexible workflow; excellent interpersonal skills and a good sense of humor; and a passion for theatre and new plays. Maintain financial systems including bookkeeping, payroll, & cash flow. Assist MD & accountant on annual audit and tax filings. Assist the MD on contracts management with artists and venues. Maintain office systems and day-to-day operations. Oversee the PlayCo internship program in consultation with MD. Focuses on marketing plans for productions, organizational branding, and raising PlayCo’s public profile. This fellow will work closely with PlayCo’s Founding Producer and Managing Director to execute the marketing plan for each production and special event, including identifying target audiences, sales strategies, coordination of vendors, planning and creating web, social media and other promotional materials and content, grassroots campaigns, and monitoring ticket sales. Maintain and execute marketing calendar for productions and special events. Coordinate collateral design and printing/production, photography/videography shoots, and front of house design. Create and manage PlayCo’s web & email presence including social media, website, and eblasts. Monitor ticket sales during production and make recommendations to senior staff on additional marketing strategies, as needed. Identify as an emerging professional of color in arts administration. Possess good verbal and written communications skills. Have a basic understanding of office and computer systems including Microsoft programs. Please note we will train selected applicants on more advanced systems as required. Be friendly, self-directed, extremely detail-oriented, and able to work in a collaborative environment with a broad range of partners. Fellowships offer a weekly salary of $395. These are part-time positions and schedules are flexible (approx. 25 hours per week). We will work with candidates to balance other personal and professional commitments. The Literary & General Management Fellowships will begin on or about May 20, 2019 and will conclude on February 29, 2020. These fellows will also attend the Theatre Communications Group National Theatre Conference in Miami, FL with all expenses paid. The conference will take place June 5 – 7, 2019. The Marketing Fellowship will begin on or about July 1, 2019 and will conclude on June 30, 2020. PlayCo’s Founding Producer, Managing Director, and Fellowship Mentor will be hosting information sessions where prospective applicants can learn more about these positions and The Play Company, and ask questions about these opportunities. Refreshments will be served. Sessions will take place at The PlayCo administrative offices at 321 West 44 th Street, Suite 802, New York, NY 10036. Photo ID is required to check in at the front desk. Prospective applicants who are unable to attend these sessions are welcome to contact Rob Bradshaw at rbradshaw@playco.org to discuss any questions about the fellowship. Applicants for the Literary and General Management Fellowships should send a cover letter and resume to jobs@playco.org by May 1, 2019 at 6:00PM. Applicants selected for an interview will be scheduled for an appointment during the week of May 6, 2019. Offers will be made the week of May 13, 2019. Applicants for the Marketing Fellowship should send a cover letter and resume to jobs@playco.org by May 31, 2019 at 6:00PM. Applicants selected for an interview will be scheduled for an appointment during the week of June 10, 2019. Offers will be made the week of June 17, 2019. The Play Company is committed to diversity, equity, and inclusion at all levels: on our stage, in our audience, on our staff, and within our leadership. We strongly encourage candidates of color and from underrepresented communities to apply. This internship plays a pivotal role in the fundraising management of our company. Intern(s) will work closely with our Development team on the cultivation of prospective donors, annual campaigns, and will actively manage several components of our upcoming annual gala, Cabaret Gourmet. The Producing internship focuses on developing and contributing innovative strategies in general management within the non-profit industry. Intern(s) will work closely with our General Manager on financial management, day-to-day operations, producing our productions, as well as collaborating with other PlayCo interns on special events such as our annual gala, Cabaret Gourmet. This is an excellent opportunity for aspiring arts management professionals to gain hands on experience in producing and general management. The Artistic Internship is ideal for students or recent graduates interested in learning about seasonal artistic planning, script analysis, dramaturgy and artistic producing. The Artistic Intern will provide general administrative support to the Director of Producing and Artistic Planning, and the Founding Producer, attend weekly programming and reader meetings, assist with production dramaturgy projects, and collaborate with other PlayCo interns on special events such as our annual gala in the Spring. Assist the Director of Producing and Artistic Planning and Founding Producer on daily administrative and producing tasks. Schedule and write dramaturgical articles for the website Hub page. Assist in planning and producing PlayCo’s Idea Lab events. Assist PlayCo staff and production staff as needed. The Literary Internship is ideal for students or recent graduates interested in learning about literary management, script analysis, seasonal artistic planning and dramaturgy. The Literary Intern will coordinate and attend weekly programming and reader meetings, assist with production dramaturgy projects, and collaborate with other PlayCo interns on special events such as our annual gala in the Spring. Assist the Director of Producing & Artistic Planning, Founding Producer, and Literary Consultant on researching, soliciting and evaluating plays. Correspondence with playwrights and agents. All interested applicants should send a cover letter and resume to Robert G. Bradshaw, Managing Director, at rbradshaw@playco.org. Please Note: These are separate internships. Please indicate your preference in your cover letter. We are always accepting applications for future semesters for applicants pursuing internships in advance.